I'm so happy the warmer days are here! To celebrate, here's a Marinated Beet Salad! Eating salads daily is an easy and healthy habit to adopt because they are packed with health benefits. 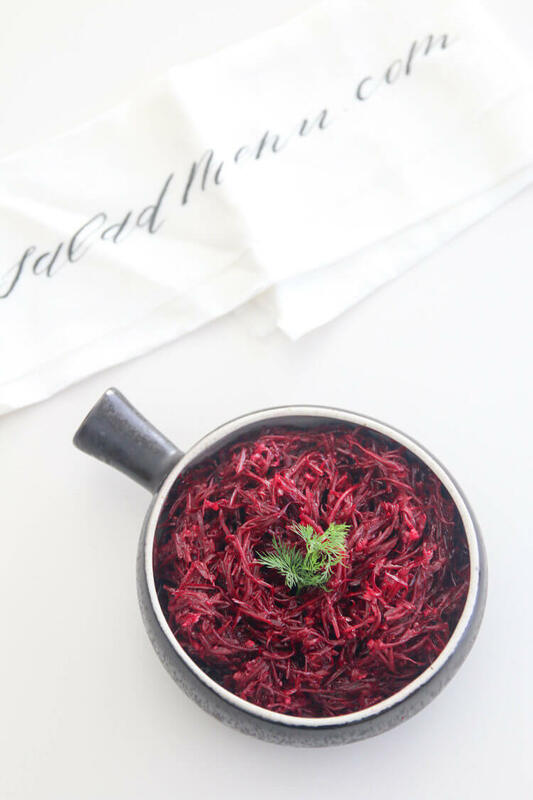 Beets support the detox process in the body. It cleanses the blood and liver by purifying it of toxins. Grape seed oil provides a source of healthy fat. It is good for hormones, brain health, tissue fibers, heart health, and more. Garlic also works as a blood purifier. It can help clear up the skin and reduce zits. The amount of health benefits that come from food is amazing! What you eat can reduce a disease or help prevent one in the future. It’s all in the produce! 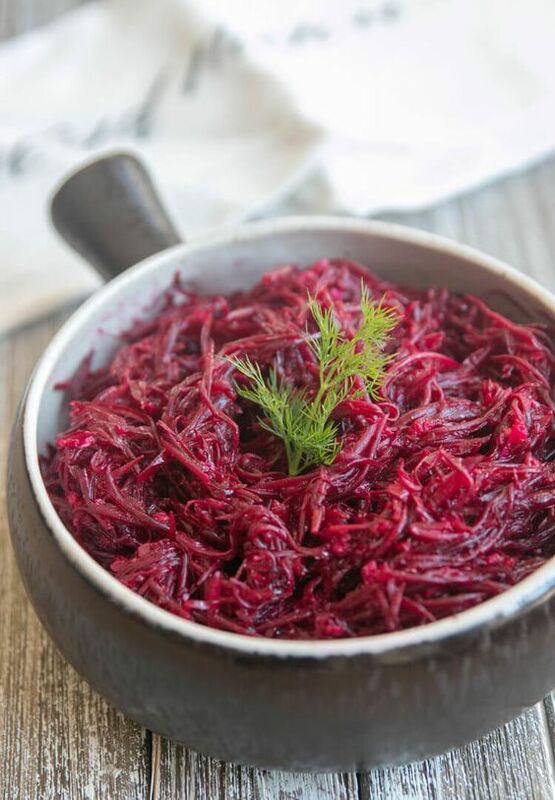 To shredded beets, add 3 Tablespoons cane sugar, 1 teaspoon salt, 1 teaspoon ground black pepper, 1 teaspoon ground coriander and 5 Tablespoons white vinegar. Mix well. In the center of the beets add 10 minced garlic cloves. On a stove top, on medium heat 1/2 cup of grape seed oil, take off heat as soon as you start seeing a little bit of steam. Pour the heated oil on the garlic. It will sizzle and give a garlicky, smokey smell. Quick mix the salad. Enjoy!